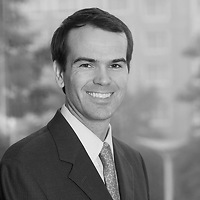 Chris Lindstrom, a partner in Nutter’s Litigation Department and a member of the firm’s Labor, Employment and Benefits practice group, was elected president of the board of directors of Lawyers Clearinghouse, a nonprofit dedicated to improving the lives of people facing social and economic hardship by engaging the legal community in pro bono service. Chris will serve a one-year term. Chris has been involved with Lawyers Clearinghouse for several years, most recently serving as vice president of the board. He has been particularly active with the Lawyers Clearinghouse’s seminars and workshops providing guidance to non-profits in Massachusetts on issues most meaningful to them. Chris often advises on the development and implementation of nationwide and local non-compete strategies, including drafting agreements, enforcing restrictions short of litigation, and filing or defending against complaints seeking injunctive relief and damages. Clients rely on his broad experience in complex civil litigation matters that have crossed industries ranging from insurance to medical device to telecommunications to healthcare to banking. Recognized for his extensive experience in the non-compete and trade secrets field, Chris conducts recurring seminars on employment law topics to non-profit organizations across Massachusetts, regularly presents before industry leaders, and is quoted by media outlets. The Lawyers Clearinghouse was founded in 1988 by the Boston Bar Association and the Massachusetts Bar Association to provide legal support to nonprofit organizations working to promote affordable housing and alleviate homelessness. The Clearinghouse founders believed they could harness the skills of the private bar to address legal issues keeping nonprofits from reaching their full potential, allowing them to impact more lives and communities. Since then, the Clearinghouse has expanded the scope of its services to include educational workshops for nonprofits, legal clinics for the homeless at shelters in the Boston area, and a program to engage retired lawyers and judges in pro bono pursuits.